Wendy is the Strategy Manager for The Outer West Neighborhood Renewal Area. 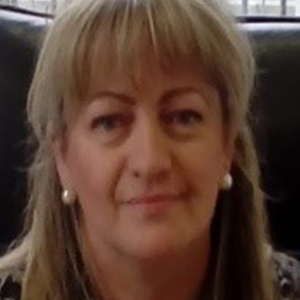 She worked in the Computing, Business and Education industries for over 20 years mainly in the Business and Digital-Media sectors and taught as a lecturer in Computer Science at the University of Ulster. More recently, she became involved in Community Development and in that context, has worked as Project and Operations Managers of many diverse social, economic and physical development projects. She is currently utilizing this knowledge and skill in the areas of Urban Regeneration and Social Innovation of The Outer West Neighborhood Renewal Area and Foyleside DEA in relation to the Strategic and Locality Community Planning Process. Find additional resources at www.ifred.org. And please, if feeling suicidal, call 1-800-273-TALK (8255) and you'll be connected to a skilled, trained counselor at a crisis center in your area, anytime 24/7.